Allstate's First Injury Settlement Offer | How Much? Our law firm battles Allstate on a regular basis in car accident and other personal injury claims. Understandably, people want to learn about the settlement value of their personal injury claim. The settlement value is almost invariably a different number than the trial value. How different? It depends on a number of factors. But the biggest driving force is the size of the case. In small cases, maybe the trial value is 150%-175% of the insurance company's last offer. But in some large cases, it is not uncommon for the trial value to be 2000% greater than the initial offer. Does Allstate ever make first offers that are in the range of reasonable? Rarely. But it does depend on the case. Sometimes, victims have a more immediate question: What is the insurance company going to offer me to start off the negotiations? What to Expect for a First Settlement Offer from Allstate? We have had a lot of success getting quality settlements and verdicts against Allstate, earning well over $10 million against Allstate alone. But that's at the end of the proverbial day. Victims often have the more immediate question of what is going to be Allstate's first offer to settle a personal injury case. 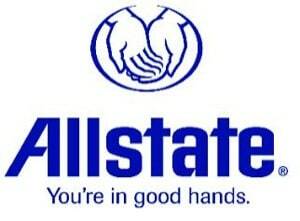 Does Allstate Come to Its Senses? How Long Does It Take? Pretty bad, right? How long does it take Allstate to come to its senses? Sometimes it happens quickly. In the death case listed above, it settled for Allstate's $1 million policy limit right after we filed a lawsuit. Allstate also offered its policy limits in the other accident fatality case included in this list. Conversely, in the case above where Allstate offered $70,000, the company doubled its offer before trial. That is a big increase but it was less than the value of the case, and we had to go to trial (the jury awarded $928,000). What Is The Take Home Lesson? The moral of all of this is that if you want to get every single dollar you deserve, there is a 95% or more chance that you are going to need to file a lawsuit against Allstate or its insured. So the lesson here is that if you are looking to get fair value in a personal injury case, you are going to have a hard time accomplishing that goal without suing Allstate first. In putting these numbers together, we went back and took a long look at all of our cases. What happened in the biggest cases where we were able to get the most money for our clients? About 10% of our top 50 cases involved a settlement before filing a lawsuit. Does this mean you should always just sue Allstate and not even bother to settle the claim pre-suit? It depends on you. Many people do not want to wait for what can be years to get fair value for their case. They want to get as much as they can, of course, but they want a quick settlement. Ultimately, we want to get as much money as possible for our clients but the victim needs to make the call. Our job is to get you as much money as possible at whatever time you are ready to pull the trigger on a settlement. We did a search of Allstate and started pulling out cases where it was the insurance company for the at-fault driver. We have used medical bills as a barometer. This is as good as any single measurement to use, but it is extremely flawed because no single measure correlates well with case value. You want it to be simple. We wish that it was. But determining the settlement value of cases is just too complicated to be distilled down to a settlement formula punched into a calculator. What is the best path to figuring out what my case might be worth? Allstate is a tenacious foe. We have beaten them so many times because we just fight harder and we care more. Call us at 800-553-8082 or get a free claim evaluation.